Andrew “Andy Boy” and Phyllis D’Arrigo, longtime pillars of the agricultural community in the Salinas Valley, were honored by the Natividad Foundation with the 2010 Hero Award. Together with D’Arrigo Bros. Co. of California, Andy and Phyllis have truly impacted our patient community through their continued support. In addition to providing funding for much needed medical equipment, the D’Arrigo Family and D’Arrigo Bros. Co. of California made a generous donation of $250,000 that was used to build out existing clinic and hospital shell space to meet the community’s growing healthcare needs. 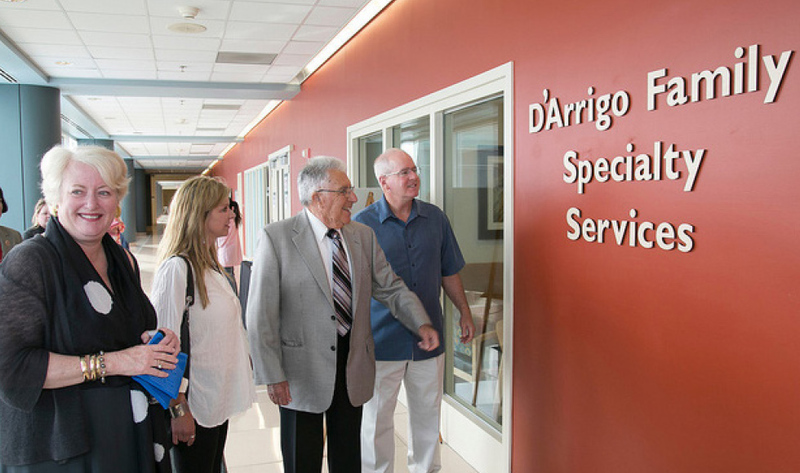 The D’Arrigo Family Specialty Clinics provide specialized care — beyond the scope of Family Medicine — for more than 18,000 babies, children, women and families each year. Natividad has continued to see growth in patient volumes and now provides over 30,000 patient visits with the new expansion. 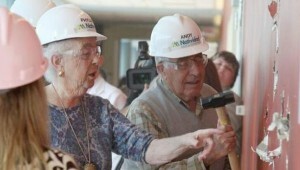 Andy and Phyllis D’Arrigo kick off the transformation of the new clinic. Specialty Services expansion resulted in an increase from 18 exam rooms to 30 exam and procedure rooms. New physician specialists in nephrology and plastic surgery are working in Specialty Services and new pediatric services include Cardiology, Orthopedics and Gastroenterology. Pediatric subspecialties include high risk infants as well as the Synagis Clinic — the only one in Monterey County — to provide respiratory syncytial virus protection (RSV — a major cause of respiratory illness in young children) for babies and children with chronic lung disease or babies who are born prematurely.